Tuscany. It’s the most iconic of Italy’s famed wine regions, and frankly, nothing short of a wine lover’s paradise. As anyone who has ever visited this part of the world will tell you, the landscape is simply made for wine production; the rolling, green hillscapes above ancient cities like Siena and Florence are smothered with vineyards and dotted with crumbling ruins - a testament to the fact that there has simply never been a time when wine wasn’t a key part of this place. 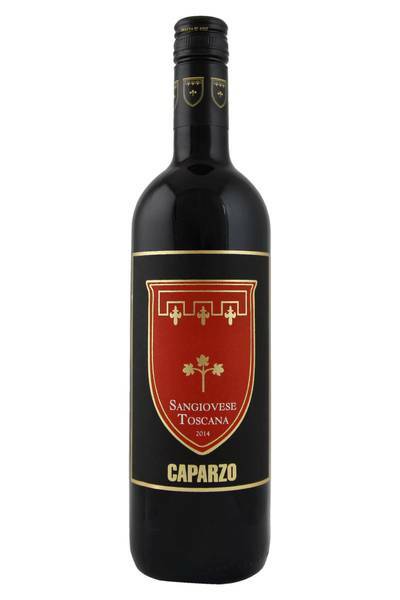 It’s here we find the beautiful winery of Caparzo, a traditional business headed by the difficulty-named Elisabetta Gnudi Angelini, and co-managed by her son and daughter. While Elisabetta’s techniques might be traditional and time-honoured, she’s no stranger to innovation and boldness. Indeed, her single-estate Brunello di Montalcino wines have been consistently praised for their natural winemaking approach, coupled with the state-of-the-art technology which allows her Sangiovese grapes to truly shine. I really love Sangiovese...when it's good, it manages to combine ripe red fruit with a dark savouriness and a great mixture of tannin and acidity. It really is a great wine to have at the dinner table, really versatile when it comes to food matching, and really easy to enjoy. The Caparzo 2014 is a belter - really complex, in a slightly stinky kind of way, with a touch of the animal fur and charcoal, backed up by dark fruit and a lavender-like floral component.